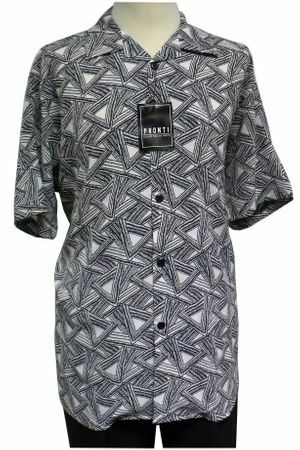 If you like unique type fabrics in your short sleeve casual shirts that stand apart from boring shirts, this white and black texture triangle fabric shirt from Pronti has it. Featuring a unique crepe texture fabric that has the woven design, this shirt is all about style. Made of poly microfiber.